Bike around Tuscany means a lot of different things. Sometimes it’s about biking a little bit and then with a clear conscience, enjoying a wine tasting in a famous Tuscan wineries; other times it is combining a bike ride with a unique Olive oil tasting in one of the best olive mills in the Chianti area. 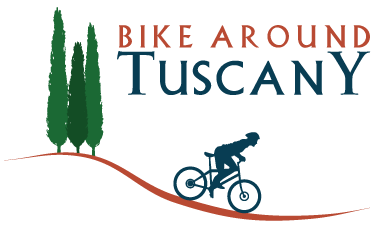 Rodney and Anna decided to literally “Bike around Tuscany”, to discover three of the nicest Medieval villages in the Chianti region. Rodney on a carbon fiber road bike and Anna on a “magic” bike spent the afternoon climbing up the so unique Tuscan winding roads to be able to visit Panzano in Chianti with its Romanic church, Radda in Chianti with its incredible medieval walls and lovely village inside. first of all, it was the place where Anna could finally have her ice cream, that she enjoyed so much that she finished it before Rodney and I had even taken a lick of our own! second, it doesn’t happen very often to walk inside medieval walls and be able to look at the valley around the village from windows once used to shoot arrows during medieval battles. If these two reasons were not enough, Anna and Rodney fell in love with olive tree cutting boards and he ended up buying all kinds of wonderful souvenirs that Anna had to carry on her “magic” bike all the way back to Greve in Chianti. Riding down from Pietrafitta, with the sun starting to set creating incredible colors over the vineyards and the olive groves, it was so amazing and magical that they had to stop to take pictures, despite the fun that only a downhill ride can be. Even this time the ride was over too soon, but when we were back to Greve in Chianti Rodney and Anna realized that it was almost 8 o’clock and they had to rush back to get changed and go to the restaurant where a yummy “Fiorentina” steak was waiting for them. Buon Appetito!